Home › Blog › Photography and hob nobbing in Newlyn town! Photography and hob nobbing in Newlyn town! Tuesday finally saw decent enough weather to head outside and take a few photo's at last. 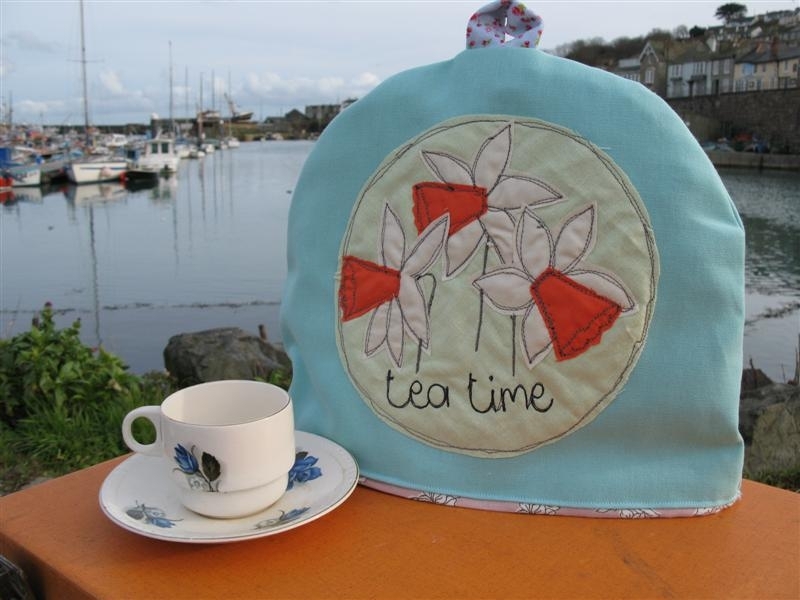 We headed out into Newlyn armed with a picnic hamper, teacups and a couple of tea cosy's.. and got some very pleasant results! Had to keep propping the tea cosy up due to strong winds! 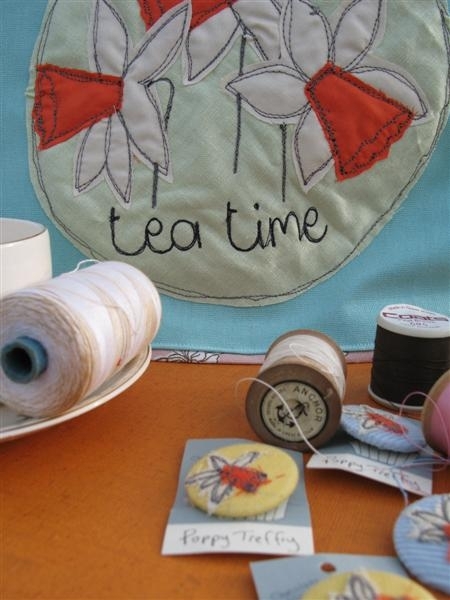 Our favourite anchor thread and pretty daffodil badges! And then on the way back to the studio who should we bump into but the lovely Gloria of the Big Tomato Company, www.bigtomatocompany.com on a hunt for the freshest, loveliest crab in town. And we thought to ourselves... Cornwall is the place to be!